Fresh edible greens in January … yes it’s true in Pennsylvania. Among other wild greens, stinging nettles (Urtica sp.) can be found growing close to the ground this early into the year – providing a nice boost of chlorophyll to my diet as winter manifests. Furthermore, to extend their usefulness into February and March, I harvest and dry the leaves (earlier in the year), and enjoy late-winter stinging nettle infusions. This organism is quite unlike some of the highly-domesticated greens found in the grocery store. Nettles have been extensively researched and shown to treat, among other conditions, benign prostatic hyperplasia (using the root; you can harvest that now, too), type 2 diabetes, and allergies. But wait, there’s more. A brand new study published in Pharmaceutical Biology (2014) found that a protein fraction from the stinging nettle aerial portion displayed potent antioxidant and anti-mutagenic activities, which the researchers stated could potentially be useful in chemoprevention. 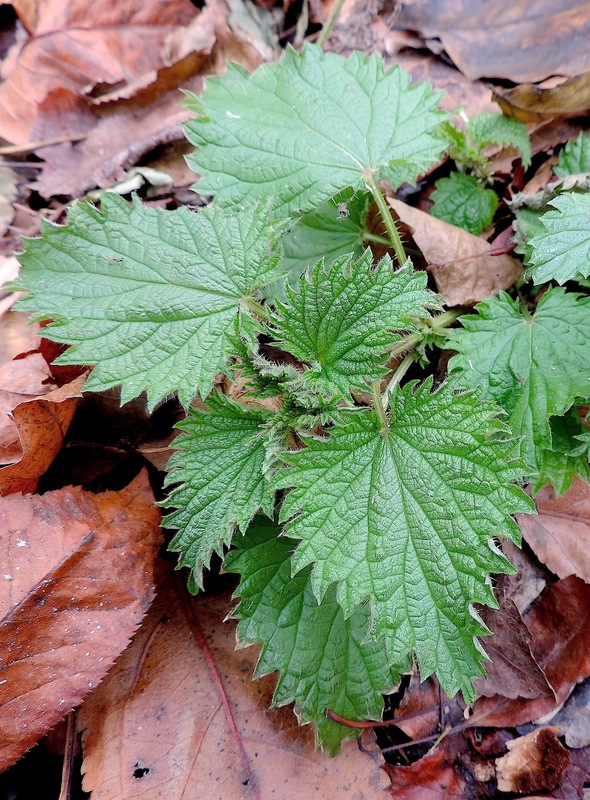 To learn more health benefits derived from the use of this incredible entity, please check out a piece I recently created over at my wild food nutrition blog (Wild Foodism), entitled 6 Double-Blind Human Studies Revealing The Health Benefits Of Stinging Nettle. Categories: Medicine, Nutrition | Permalink.